Geometry framed tabletop collection with Christian verses. 7" x 9" metal frame featuring metallic finishes of gold. 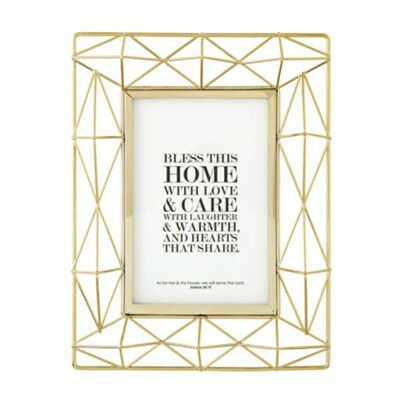 I'm the author/artist and I want to review Bless This Home, Joshua 24:15, Geometric Framed Art, Gold.